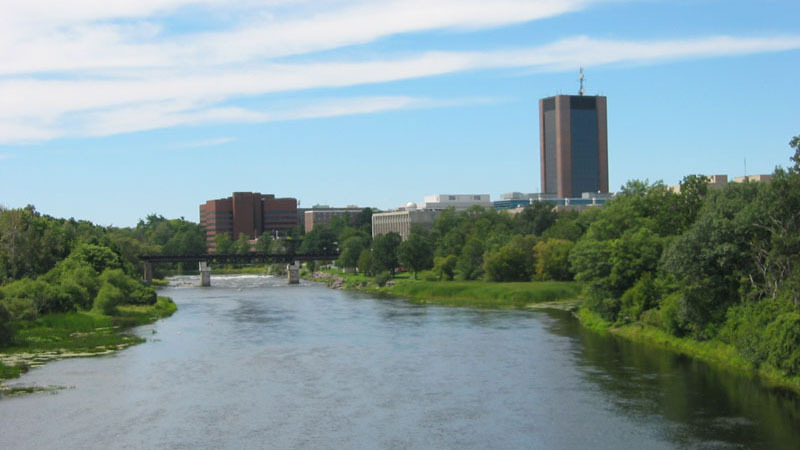 Carleton University. Photo provided by Peregrine981. Carleton University has submitted an application to become a certified fair trade campus after working on the process for the past three years. If the University’s progress is successful, they will be added onto the growing list of 19 fair trade universities across Canada. Ivy McKee, president of Fair Trade Carleton University, said over the past four years they have promoted and advocated for the demand of fair trade products while working to educate students about what fair trade is, and how someone can support it. Aside from fair trade food products like chocolate and coffee, she said it’s also important to be aware of the clothing sold on campus. An issue that she said has yet to be resolved. “The bookstore is one that our club identifies as an area of improvement,” she said. “None of the clothing they sell is fair trade or ethical at all. Making a move to have more ethically supplied Ravens gear, McKee said, wouldn’t be the first. Clubs like the Rideau River Residence Association (RRRA) used to provide ethical clothing to first-year students, but have failed to provide them in the past two years, she commented. But main clothing supplier for Carleton’s book store — Fruit of the Loom — does outline environmental responsibility, worker’s rights and protection, and avoiding the use of child and forced labour within their supplier’s guidelines. Sean McHugh, executive director of the Canadian Fair Trade Network (CFTN), said the bookstore’s lack of fair trade clothing will not affect the overall assessment towards the school’s fair trade certificate, but he certainly encourages them to takes steps in the right direction. He said the focus on food, but lack of clothing standards for the CFTN is the reason why clothing will not be included in the audit for Carleton’s fair trade certificate. There are three major steps to be considered a fair trade campus according to the CFTN: Product availability, product standards and education. Replacing coffee, tea and chocolate on campuses with fair trade products is the first step in the process. The next is policies in place on campus to make sure products live up to the fair trade label and then education on campuses. But according to Jonathan Rausseo, the campus sustainability manager for the University of Ottawa, even with certification, consumers should be wary of possible fakes. He explained why companies may try to mimic the same standards as Fairtrade International. Fair trade goes beyond fair wages and proper working conditions for the employees, Rausseo said, adding it also reduces the environmental impact of growing the product by restricting deforestation and use of pesticides. The cost of providing fair trade products has been a concern for many companies and the university, but McHugh said there is no real difference in the price of items. McHugh said an issue with the labeling of some coffee products has slowed down the application process for Carleton’s fair trade certification application, but a decision will be presented soon.